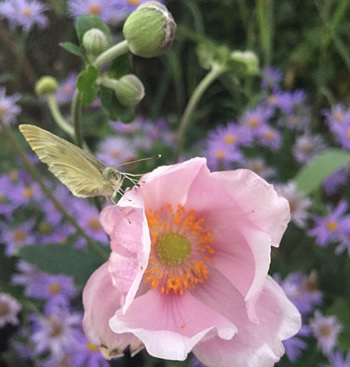 UW Bothell gardener and Environmental Horticulture graduate student Robby Wrench shares his passion for gardening and pollinators with evocative and beautiful images taken in public parks, including at the Center for Urban Horticulture. Meet the artist at a reception July 5th from 5 to 7pm in the Miller Library. 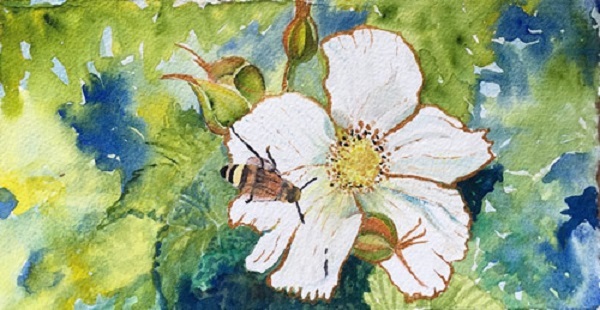 Finding beauty in the ordinary and familiar, Rosemary Washington works in small scale to create water colors that express her appreciation for the wonders of nature. Meet the artist at a reception June 7th from 5 to 7pm in the Library. We are taking a break on accepting book donations for this year’s sale. We will accept new donations after May 1st. 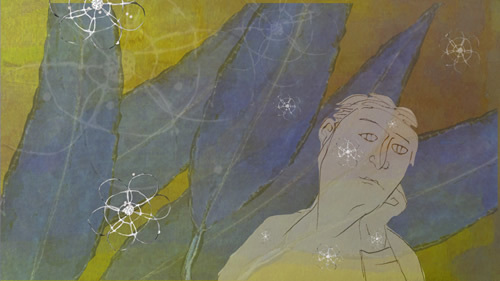 Rachel Lodge explores the carbon cycle through hand-drawn, science-based images and animation excerpts that explore the flow of carbon through natural systems as well as our own fossil fuel emissions. 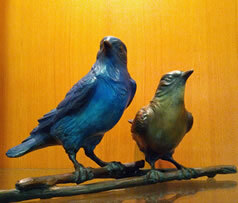 Meet the artist at a reception on Thursday, February 1st from 5 to 7pm. More. Lyn Sauter (1938-2017) was the first librarian for the Miller Library, gathering together and organizing books and periodicals prior to the library’s opening in 1985. She continued to be an engaged and active supporter for the rest of her life. 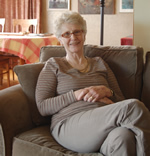 Listen to her memories, recorded in 2011, of the challenges of creating a computer based catalog and the development of the early collection. Join us for a festive reception on Friday, December 1st from 5 to 7pm. More information. 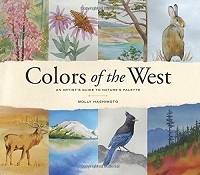 Local artist Molly Hashimoto returns to the Miller Library displaying original paintings and prints from her new book Colors of the West: an artist’s guide to nature’s palette. The chapters are organized by color with essays on watercolor technique, plants and animals, and notable places in nature, such as Petroglyph National Monument. Meet the artist at a free reception open to the public on Thursday November 9th from 5pm to 7pm in the Miller Library. Molly will read from her book and share a slide show starting at 5:30. The Pendleton and Elisabeth C. Miller Charitable Foundation presents the 23rd Annual Elisabeth C. Miller Memorial Lecture with British author Anna Pavord. The free lecture is Thursday September 7th at Meany Hall on UW main campus. For tickets contact the Miller Garden at info@millergarden.org or by calling (206)362-8612. More info. 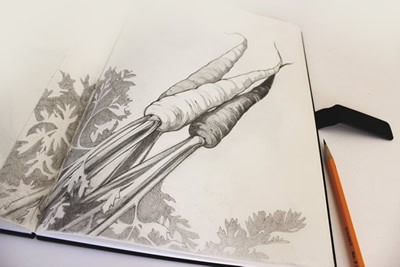 Susan Lally-Chiu’s art work celebrates the diversity of locally grown vegetables and fruits through elegant large scale drawings, colorful watercolor sketches with pen, delicate linocuts and a series of sketchbooks. Current research and projects in environmental horticulture from students in the School of Environmental and Forest Sciences. 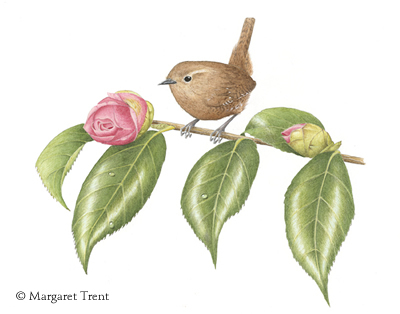 The Pacific Northwest Botanical Artists will have an exhibit and sale of prints and cards through May 6. Our 12th annual book sale funds the purchase of new books and magazine subscriptions. Friday Evening Party 5 -8pm: Enjoy wine and light refreshments while browsing a fantastic selection of used gardening books. Author Nita-Jo Rountree will be selling & signing her new book Growing roses in the Pacific Northwest Tickets cost $25 in advance or $30 at the door. Call 206-543-0415 to purchase tickets. Details. The Saturday sale is free for everyone and runs 9-3pm. Weaver and iPhone photographer Anna Klauder shares images from her garden celebrating the light, texture, and color that inspire her. The artist invites you to a reception Thursday, February 2nd, 2017 from 5 to 7pm in the Miller Library. 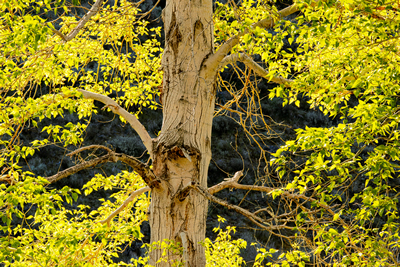 Photographer Richard Dunford will have images on exhibit featuring trees of Northwest public lands in the Miller Library from January 4th through the 30th. The artist invites you to a reception Thursday, January 5th 2017 from 5 to 7pm in the Library. Holiday Craft Sale – through December 23rd. Seattle artist and teacher Molly Hashimoto explores the flora and fauna of the West, from both garden and wild habitats, in watercolors and block prints. 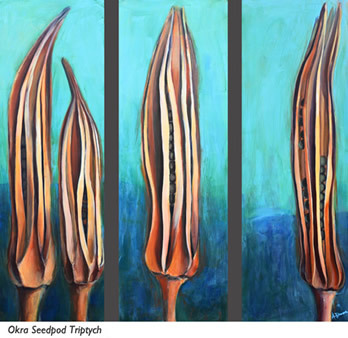 Inspired by the complex forms of seed heads and pods, artist Alisha Dall’Osto produced striking paintings with bold colors and organic shapes. 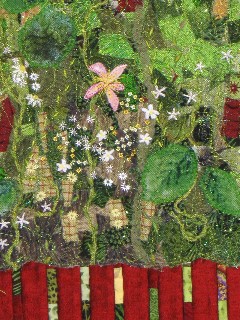 View her work on exhibit in the Miller Library at the Center for Urban Horticulture September 12th through October 27th. Meet the artist at a reception Monday, September 12th from 5 to 7pm. Join us as we celebrate thirty years of service and the extraordinary support of people like you. Create an anniversary book dedication to show the public that this library is possible through the generosity of our patrons! More information at the Miller Garden website. 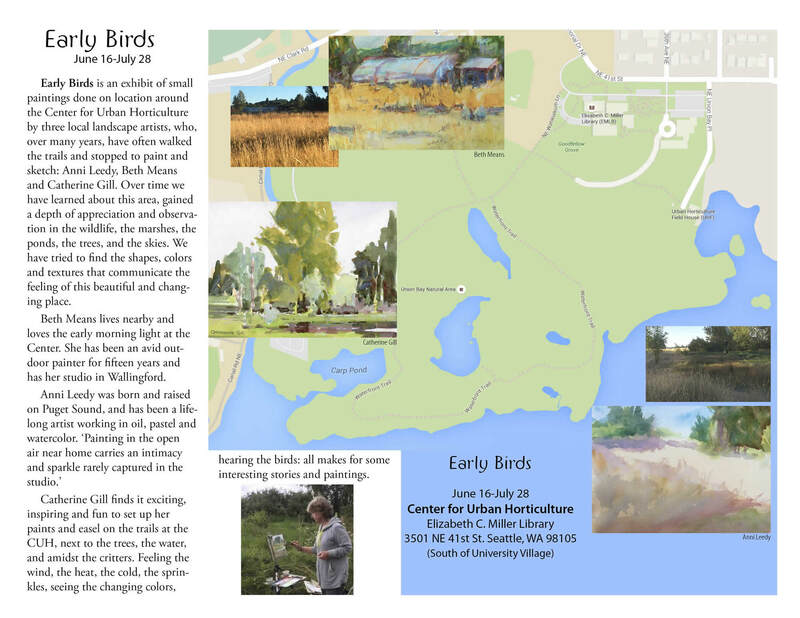 Early Birds is an exhibit of small paintings done on location around the Center for Urban Horticulture by three local landscape artists, who, over many years, have often walked the trails and stopped to paint and sketch. The exhibit runs through July 28th. Do you marvel at the the fanciful petals of a fuchsia flower or the stark beauty of rose hips in winter? 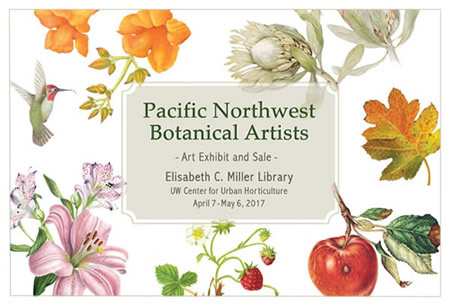 If so, then come and enjoy an exhibit of botanical art by the Pacific Northwest Botanical Artists. Artwork, prints and cards will be for sale throughout the month, with a portion of the sales benefiting the Library. The PNBA group is a chapter of the American Society of Botanical Artists, a nonprofit organization dedicated to promoting public awareness of contemporary botanical art, to honoring its traditions and to furthering its development. 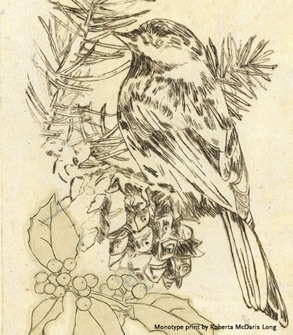 Hummingbird image by Margaret Trent. Stock your shelves with gently used gardening books! You’ll find a wide range of topics on all things horticultural, at irresistible prices. The Preview Party and Rare Book Auction is Friday, April 1st from 5 to 8pm. Tickets cost $25 in advance or $30 at the door. To purchase tickets call 206-543-0415 after February 1st. The book sale on Saturday, April 2nd is free and open to everyone. The sale runs from 9am to 3pm. We gratefully accept book donations for the sale until Monday, March 28th. Patty Haller is a Seattle oil painter with a studio in nearby Magnuson Park. She enjoys applying visual concepts from art history to Pacific coastal woodland imagery. The artist invites you to a reception on Thursday, February 18th from 5 to 7pm in the Library. Get your shopping done early and support local artists! We invite our patrons to join us for a reception on Friday, December 4th, 5 to 7pm. 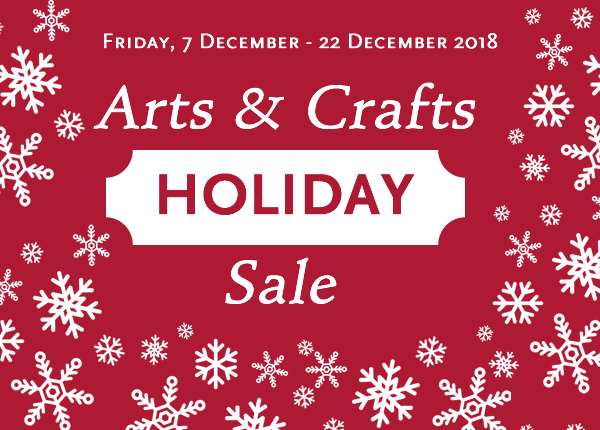 Exhibit and sale runs through December 23rd, weâ€™ll have a selection of locally made arts and crafts available for purchase at the Miller Library. Cash* or Check only please! 25% of proceeds benefit the Miller Library. 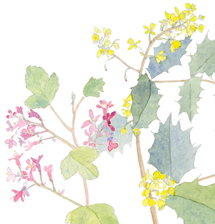 Seattle artist and teacher Molly Hashimoto explores the flora and fauna of the West, from both garden and wild habitats, in watercolors and block prints. 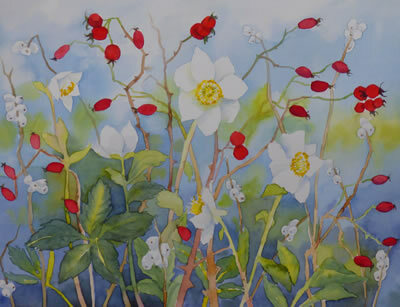 This year’s exhibit features all new work, including many birds, and prints of Western conifers of the coast and timberline plus watercolors of favorite flowers playfully painted from her own garden. Molly’s work is published by Pomegranate as cards, calendars, puzzles and books; many of those items will be offered for sale with the prints and paintings. Molly’s work will be on display in the Miller Library November 5 through December 28, and she invites you to an opening reception November 5 from 5 to 7pm. This year marks thirty years of service for the Elisabeth C. Miller Library! Stop by Wednesday, October 14, 2015 anytime between 3 and 7pm for refreshments and a chance to hear clips from our oral history collection. We’ll also be featuring a display of rare books, a sneak peak at new titles in our children’s collection, and a tour of our web resources. 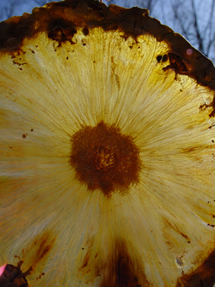 What do evolution and the Emperor of Japan have to do with art about slime molds? Now You See It! The Slime Mold Revelationreveals the stories behind four centuries of artistic devotion to these otherworldly organisms. Just what are slime molds? Worldwide, one-celled bacteria-munching travelers of the earth beneath your feet. Shimmering rainbow-colored spore-filled protists on your rosebush. Tiny dwellers of the arctic, the rainforest, and the desert. Now You See It! is a colorful foray into a little-known world: a visual and scientific delight for all ages. Come confused, leave stupefied. Curator Angela Mele is a scientific illustrator finishing the illustrations for a field guide to cosmopolitan slime molds. She recently received a Master’s of Museum Studies from the University of Washington. The artist invites you to a reception at the Miller Library on Friday, September 18 from 5:00 to 7:00pm. Please join us for the artist’s reception on Thursday July 23rd from 5:00 to 7:00pm in the Miller Library. Lake, Lattice, Stone: Requiem for a Garden seeks to celebrate the artist’s motherâ€™s northwest garden as well as the neighborhood of Union Bay and the marsh she grew up on, and walked past on her way to classes at the UW in the early nineteen forties. Through image and text, through monotype and artifact, journal entries and poems, a celebration of a gardenâ€™s life takes form. 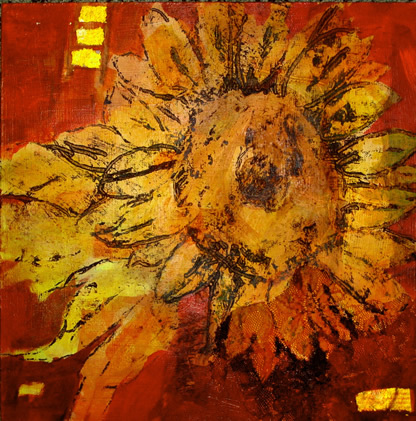 Lollie (Lali) Groth is a printmaker and mixed media artist who has shown extensively in Hawaii. 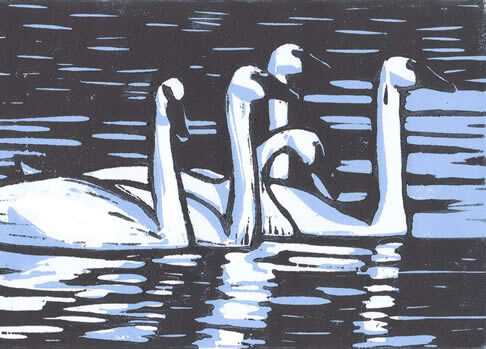 In 2009 she received the John Young Award for Excellence in Monotype from Honolulu Printmakers. 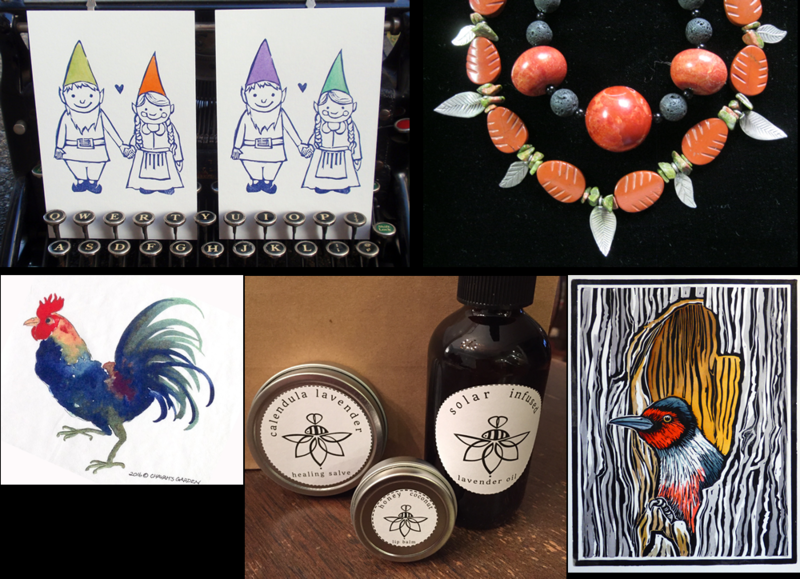 Currently, she lives on Vashon Island and works out of the studio at Quartermaster Press. 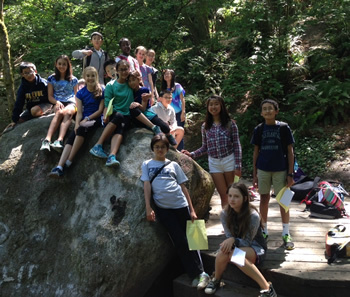 For the fifth year, staff and students at the Center for Urban Horticulture collaborated with local fifth and sixth grade students for one day as part of The Incredible World of Plants for the UWâ€™s Robinson Center for Young Scholars Summer Challenge. Students toured the gardens and the library, learned about mason bees, observed pollinators working, toured the Hyde Herbarium, and mounted pressed plant specimens. Looking at data since January 2014, more than half of our most popular items are the work of local or regional authors. 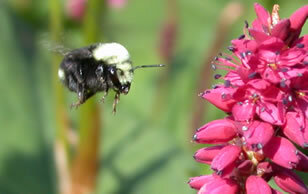 Our library users study native plants and wildlife. Books for children are also well-used, as are curriculum materials. The most popular book is Encyclopedia of northwest native plants for gardens and landscapes by Kathleen Robson, Alice Richter and Marianne Filbert. Discover the other top 19 books in the May issue of Leaflet. 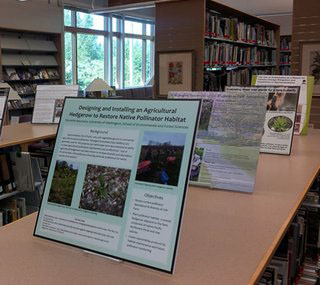 Students in the Environmental Science and Resource Management and Restoration Ecology and Environmental Horticulture programs will have posters on exhibit in the Miller Library through June 13th. The Pacific Northwest Botanical Artists present their 8th annual exhibit at the library from April 3 through May 2. Artwork, prints, and cards will be for sale, with a portion of the sales benefiting the Miller Library. 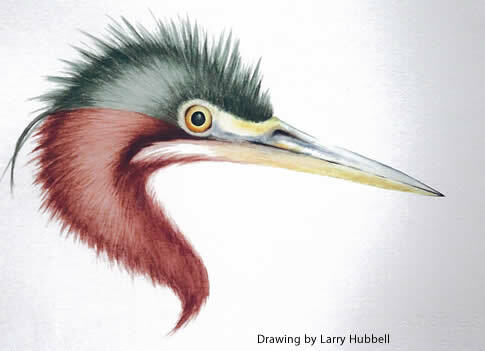 This year PNBA has invited members of the Guild of Natural Science Illustrators Northwest to join the exhibit. Select choice titles on garden design, plant selection, horticulture, edibles, and pest control and other subjects. The fun begins on Friday, April 3rd at 5:00 pm at the Preview Party. Tickets cost $25 and include hors d’oeuvres and wine, plus first peek at the books. Purchase in advance by calling 206-543-0415. On Saturday the doors open at 9:00 am. The public sale is free. Bring your own bags or boxes to load up on great deals. The Hypha free nursery is a local collaborative project to spread plants and ideas. Plants are propagated and given away as gifts. Hypha incorporates artmaking, storytelling, and ethnobotany to provide cultural context and connection to the plants that comprise our landscape. 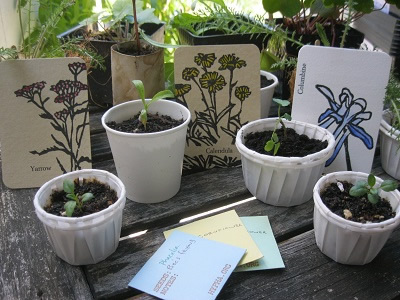 Select plants are accompanied by a handmade letterpress card and are mapped to illustrate the potential of such networks. The artists invite plant lovers and people who appreciate letterpress art to a reception on Thursday, March 12th from 5 to 7PM. This exhibition showcases artwork produced in 2014 by Shannon Welles and Lark Preyapongpisan to accompany the plants given away and the map of the first year of networking. Jennifer Rose takes charming close-up photos of garden flowers to produce an uplifting effect. Her intention is that the photos may be used in meditation to focus the mind on positive natural energy. The artist invites you to a free reception on Friday, January 9, from 5 to 7pm. From December 5th through December 23rd, the Miller Library will have a selection of locally made arts and crafts available for purchase. 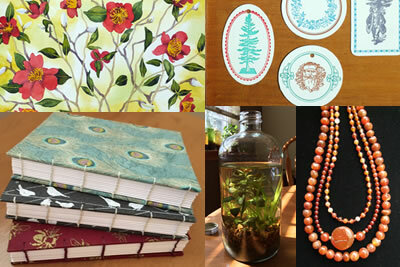 Nature inspired gifts such as hand made tiles, letter press cards, and felted wool flower pins will delight recipients. See the complete list of artists. 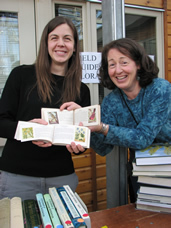 10th anniversary Garden Lovers’ Book Sale. We seek your donation of creative talents for a new design for the 11 x 17 poster and 5 x 8 postcard advertising the 2015 Garden Lovers’ Book Sale. The successful design will have a plant theme and eye catching appeal. The poster must include specific details about the date and location, plus the UWBG logo. We will accept submissions through December 29, 2014. Send a message to Tracy for more information. Where we’ve been and where we’re going is all laid out in the Annual Update. Take a look to learn the date of the Northwest Horticultural Society’s spring plant sale and the 10th annual Garden Lovers’ Book Sale. 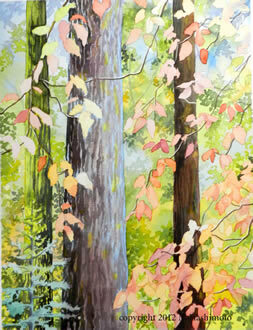 Watercolors by Linda Stewart Henley will be on exhibit in the Miller Library from November 4th through December 2nd. The paintings of Washington natives, done mostly on location, are accompanied by field notes. 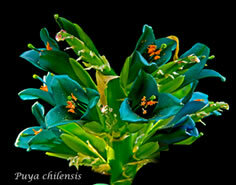 The exhibit shows the plants in representational, but not scientifically botanical, style. The poster Washington Shrubby Plants is featured as part of the exhibition. Meet the artist at a free reception at the Library on Friday, November 14, 2014 from 5:00 to 7:00 pm. Paintings of ferns, orchids, and other treasures will be on exhibit in the Miller Library from September 19 to November 3rd. Botanist, teacher and artist Linda Ann Vorobik paints exquisite and botanically accurate watercolors of ferns and orchids that will delight you. Artist Kathleen Wolfe celebrates her love of nature with oil paintings on canvas featuring poppies, water lilies and landscape with majestic trees. Her paintings will be on display in the Library from August 5th to September 16th. Artist James Toner creates sculptures, furniture, and lamps with mixed materials including wood, stone, ceramics, and bronze. 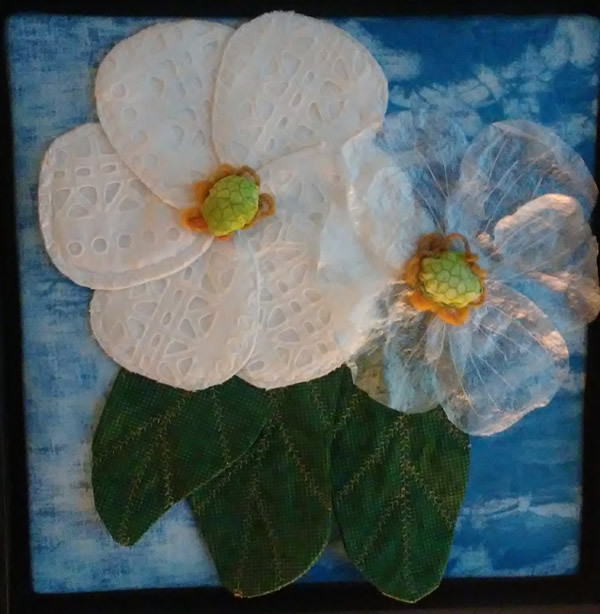 Ceramic flowers and lamps made from handmade paper & birch bark are included in this exhibit at the Elisabeth C. Miller Library. Wonder what goes on in the labs of Merrill Hall or in the study plots sprinkled throughout Union Bay Natural Area? Find out at the annual UWBG graduate student research review May 9 June 13 in the Library. Want to meet the researchers? Then join us for the public reception Friday, May 9 from 5 -7pm. Light refreshments will be served. 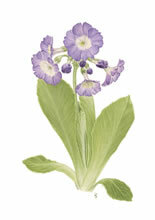 As spring revives our parks and gardens, come and enjoy an exhibit of botanical art. Visit this display of original paintings and prints from April 4 through May 3. Artwork, prints and cards will be for sale, with a portion of the sales benefiting the Library. PNBA is a chapter of the American Society of Botanical Artists, a nonprofit organization dedicated to promoting public awareness of contemporary botanical art, to honoring its traditions, and to furthering its development. This year PNBA has invited members of the local chapter of the Guild of Natural Science Illustrators to join in the exhibit. Love gardening, plants, trees, flowers or growing food? Can’t pass up a bargain? 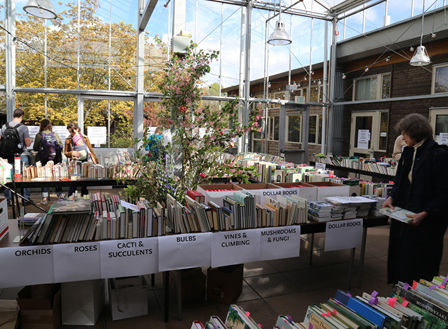 Then you won’t want to miss the 9th annual GARDEN LOVERS’ BOOK SALE of used books at the Center for Urban Horticulture. This important benefit for the Elisabeth C. Miller Library funds the purchase of new books and magazine subscriptions. 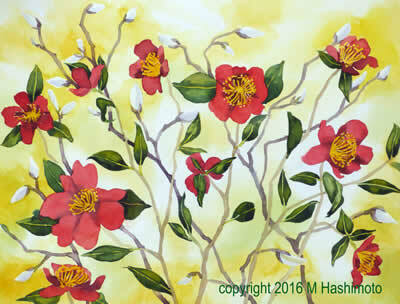 Beautiful art will also be for sale from the Pacific Northwest Botanical Artists. 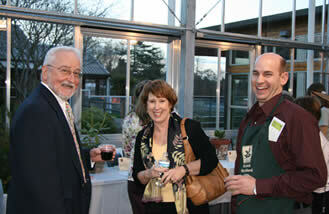 Enjoy wine and light refreshments while browsing a fantastic selection of used gardening books. Please purchase tickets in advance, $20.00. To purchase tickets call 206-543-0415. 3501 NE 41st Street, Seattle, 98105. Artist Juliet Shen has adopted the Union Bay Natural Area as her outdoor studio, drawing there from her small folding stool through all four seasons. 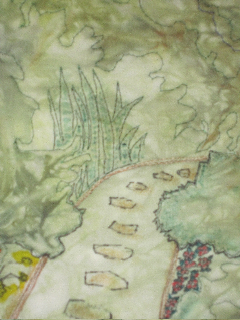 Her drawings of the area will be on display at the Miller Library from February 22 – March 31, 2014. The artist invites you to attend the opening reception on Friday, February 28, from 5:00 to 7:00 pm. 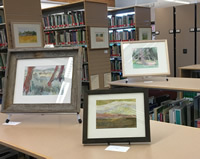 A portion of the proceeds from artwork sales benefit the Library. Sale to benefit the Elisabeth C. Miller Library. On exhibit from January 4, 2014 to February 15. Please join us for the artist’s opening reception on Friday, January 10 from 5 to 7pm. 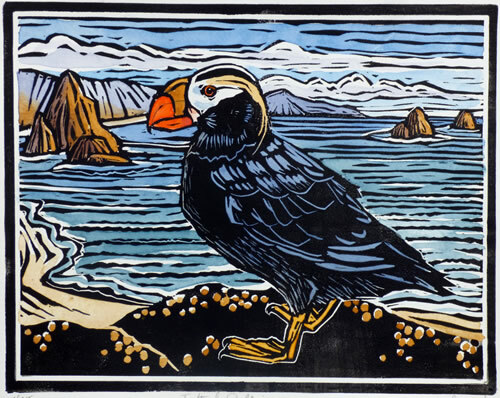 Molly Hashimoto will be exhibiting paintings & prints featuring Western landscapes and birds visiting the Union Bay Natural Area. 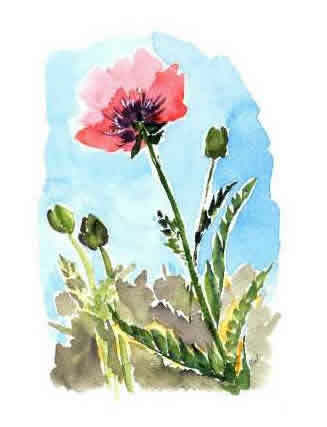 Original watercolors from the 2014 Nature’s Peace calendar will be for sale. The wall calendar, also available for sale, features Molly’s beautiful paintings with inspiring quotes from John Muir. Also on exhibit are a selection of print techniques, including relief, woodblock and solar plate. A portion of sales benefit the Miller Library. Exhibit runs November 1 through December 21th. 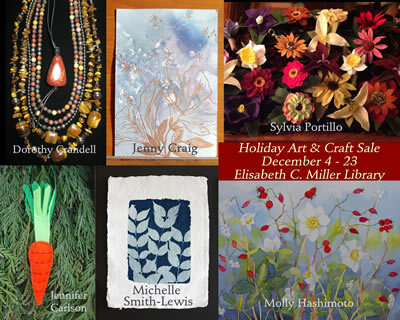 The holiday sale features local artists and benefits the Miller Library. Join us at the opening sale & reception Friday 6 December from 5 to 8pm. 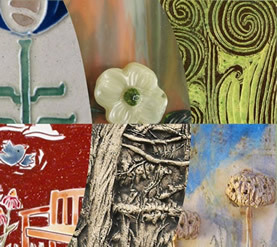 Artists include from top left, Linnea Donnen, Roberta McDaris Long, Katie Murphy, Barbara Clark, Molly Hashimoto and Joan Bazaz. Read more about holiday giving to benefit the Miller Library and UW Botanic Garden programs. Drop in to the library for a quiet study space with wi-fi, meet the friendly staff who can help you find information or reserve the program room for your group project. Start your research here! An artisan tile is like a colorful hybrid of sculpture and painting. The Artisan Tile NWgroup will have handmade tiles on exhibit in the Library from September 4 to October 28th 2013. All the tiles will be for sale with a portion of proceeds benefiting the Library. Join us for the FREE 19th annual Miller Memorial Lecture, featuring Tony Avent, renowned plantsman and horticulturist. 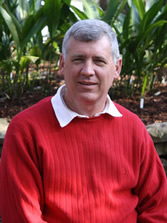 Mr. Avent will speak on So Many Plants, So Little Time: Little Known Perennial Favorites to Delight & Excite! 7:00 pm (doors open at 6:15), followed by free reception with refreshments in Meany Hall on the UW campus. Email: info@millergarden.org for a free e-ticket! Thousands of used gardening, horticulture, botany and landscape design books will be for sale at the Miller Library the first weekend of April. All proceeds of the sale are used to purchase the best and newest in horticultural books and journals. Original artwork from the American Association of Botanical Artists – Pacific Northwest Chapter will also be on exhibit and for sale for the entire month of April. Be among the first to browse the books at the Wine and Cheese Preview Party on Friday, April 6, from 5:00 to 8:00 p.m. Tickets to the Preview Party are $20 each, and directly fund the book budget of the Miller Library. Enjoy a glass of wine, mingle with other gardening enthusiasts, and bid on specially selected books in the silent auction. To purchase tickets to the Preview Party, contact the Library at 206-543-0415. On Saturday, April 7, the Book Sale will run from 9:00 a.m. to 3:00 p.m. Admittance is free. Shoppers will find a wide range of topics on all things horticultural, at great prices. The sale will take place at the Center for Urban Horticulture, UWBG, 3501 NE 41st Street, Seattle. 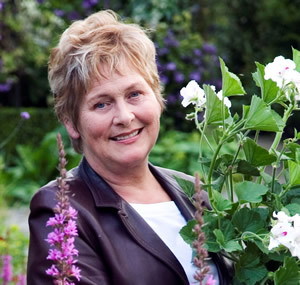 The Northwest Horticultural Society is holding a fund-raising book launch with former Miller Library manager and well-known garden writer Val Easton will launch her newest book on Wednesday, February 1, at 6:30 pm at CUH. Val has been perfecting her floral design talents over the last forty years, and now in Petal and Twig: Seasonal Bouquets with Blossoms, Branches, and Grasses from Your Garden, she shows us how to make beautiful arrangements with what grows in our own backyards. We are grateful that Val has chosen to continue her strong support of the Miller Library by having a book launch event as a fundraiser for the library. Val will be available to sign books, which we will have for purchase. There will be a delectable dessert buffet to enjoy, and a drawing for some choice and beautiful plants, after which Val will do a presentation on her new book. Wednesday, February 1, 2012, 6:30 p.m.
Painting fills the need within myself to have a creative outlet of artistic expression, Which can act as cathartic deterrent to an otherwise stressed or mundane life. Color as it is effected by natural light is something that I relate to with interest. 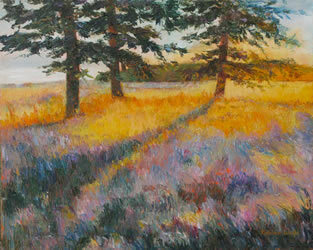 I find that painting lends itself to experimentation with color combinations when working with the landscape. Why do I paint these subjects and themes? 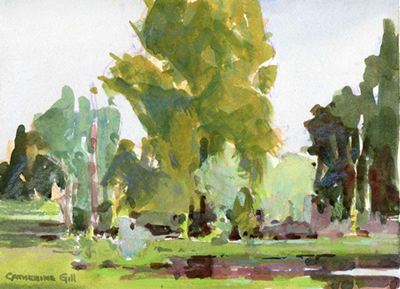 I enjoy working “En Plein Air”, out in the open air/on location. I’m attracted to organic forms, shapes, patterns, and colors which occur in nature, using a broader view, or “landscape”, rather than a close up botanical study. What methods do I use to create my art? Photography as a source of capturing images for studio works. I’ve been exploring complimentary color under-painting to create a sense of vibrancy in my color schemes. When working with oil paint I’ll sometimes use a palette knife as well as brush to create varying surface textures and visual effects. What other expertise informs my art? 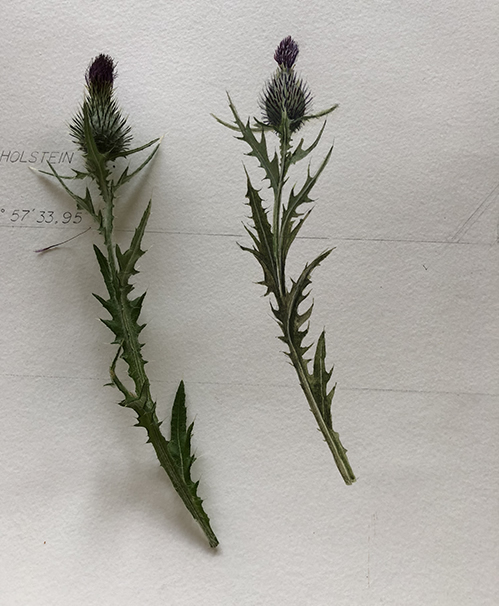 Studied botanical identification and terminology. 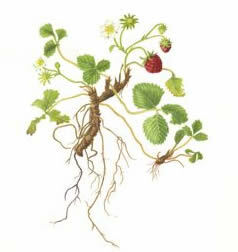 Experience with botanical illustration, drawing and in watercolor mediums. 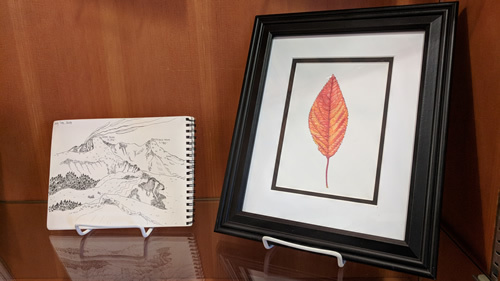 Artist and graduate student Katie Murphy blends her two passions, plants and soil, in this exhibit at the Miller Library. Her latest collection is inspired by the colors of Autumn, shapes of nature and functional, beautiful ceramic forms. 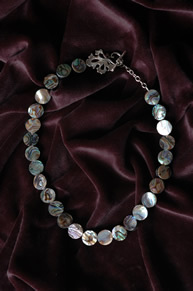 Joining Katie is jewelry artist Morea Christenson of Tilt-a-girl designs. Morea has been designing jewelry since she was a little girl. Beginning with her mother’s jewelry box, her passion for eye popping color and whimsical designs blossomed into a quest for creating unique, one of a kind pieces with a twist. Inspired by elements and processes in nature, Morea works with a variety of mediums, including wood, metal, shell, clay, and precious gemstones. Her newest line is blending the old with the new, transforming vintage trinkets, broches, and jewels into one of kind accessories. Join us for a free public reception for Katie and Morea on December 2 from 5pm to 7pm. Free public reception Thursday, October 20, 5-7pm. TREES IN ART features drawings, paintings, and engravings by a group of four Northwest artists who share a deep affinity for trees.Â While our diverse styles and media represent a range of realistic and abstract renderings of trees, we share an interest in exploring and understanding their unifying symbolism. Trees have long been associated with a sense of mystery, magic, strength, and wisdom. Over time and throughout history, tree imagery has been featured in myths, parables, dream theories, and art. For example, trees are often depicted as nature’s gladiators whose strength enables them to continue to struggle and survive despite great odds and dire circumstances. In many cultures, trees are revered as totems of unseen forces or potent symbols of such qualities as longevity, fertility, wisdom, and immortality. 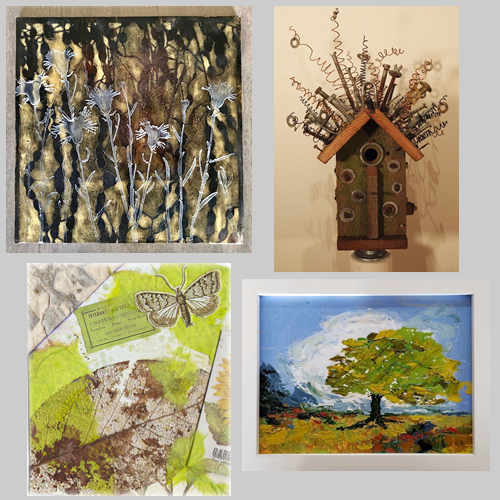 A tree-art exhibition has the potential for being of interest to both art and nature lovers. 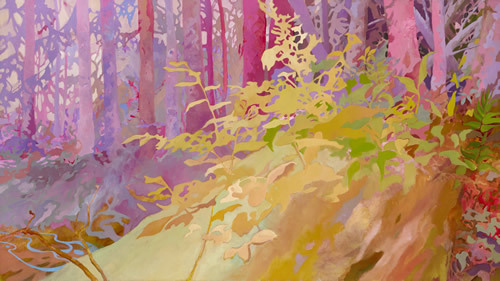 Art enthusiasts will appreciate the range in perspectives and media among the works displayed, from finely detailed drawings and engravings of individual trees to mixed-media abstractions of tree spirits and the interconnections between people and nature. Viewers who value the role of trees in an ecologically-balanced world will resonate to the importance of honoring and protecting trees because of their documented effects on positive environmental outcomes. 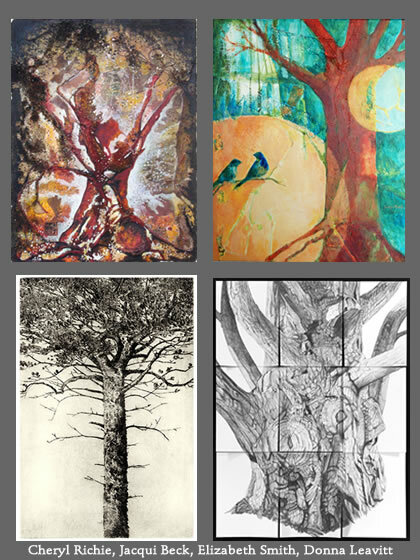 Ultimately, TREES IN ART aims to stimulate contemplation of both the artistic merits of trees, as well as the universal power of tree symbolism to advance our understanding of the broad, sweeping interconnectedness between people and the environment. Seattle resident Molly Hashimoto’s paintings and illustrations have been published by Pomegranate for many years. 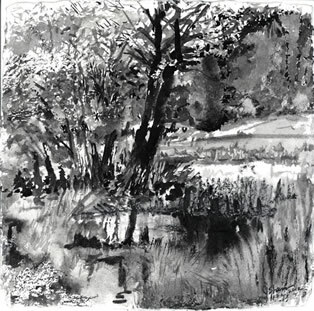 In 2012, Pomegranate will publish a calendar pairing Molly’s paintings with quotations from John Muir. She frequently visits Union Bay Natural Area in search of the wild in Seattle. She teaches for the North Cascades Institute, the Yellowstone Association Institute and the Sitka Center for Art & Ecology, believing that sharing her knowledge of painting in America’s wild places—in history and in present practice– helps to foster a community which works to preserve our treasured parks and wilderness areas. She writes about art, nature and ideas in her blog Molly Hashimoto: Artist’s Journal at www.mollyhashimoto.com. Be among the first to browse the books at the Wine and Cheese Preview Partyon Friday, April 1, from 5:00 to 8:00 p.m. Tickets to the Preview Party are $20 each, and directly fund the book budget of the Miller Library. Enjoy a glass of wine, mingle with other gardening enthusiasts, and bid on specially selected books in the silent auction. To purchase tickets to the Preview Party, contact the Library at 206-543-0415. On Saturday, April 2, the Book Sale will run from 9:00 a.m. to 3:00 p.m. Admittance is free. Shoppers will find a wide range of topics on all things horticultural, at great prices. 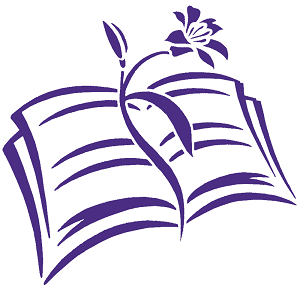 Proceeds from the entire spring plant sale event will be given to the library from sale sponsors Northwest Horticultural Society — your generosity is greatly appreciated. Complete sale information, including vendors and lecture times. FROM THE GROUND UP – QuiltArt exhibit December 2nd through January 28th, 2011. Your garden may be dormant and the skies a little gray at this time of year but members of the Contemporary QuiltArt Association (CQA) hope you will put color in your life by coming to see From the Ground Up. 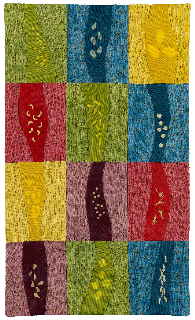 This exhibit features 30 innovative quilts relating to the world of botany and horticulture. Lake Cushman is featured in changing seasons; clematis, skunk cabbage, and leaf skeletons have never looked better; and the life cycle of a plant comes alive with coffee stirrers. We hope you will join CQA members at the free public reception on Thursday, December 2, 5 – 7 p.m. or stop by the library during regular hours to enjoy this creative work. 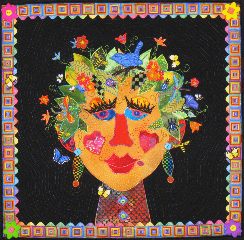 Special thanks to the Quilting Loft in Ballard for help promoting this exhibit. Because of budget shortfalls the Miller Library will resume restricted hours starting Monday, June 21, 2010. Open hours will be: Monday: 4pm-8pm; Tuesday-Friday: 9am-5pm; Saturdays in June: 9am-3pm. Saturday hours will be suspended for July and August and will resume September 11th. Read the Library Managers’ explanation for restricted hours. Due to successful fund-raising efforts in the last year by the Northwest Horticultural Society, the Library will be open all day (9am – 8pm) on Mondays starting March 22 and continuing through June 14. Just in time for the busy spring gardening season. Thank you NHS! What: A used book sale fund raiser and all around FUN TIME! Where: In the Merrill Hall Commons, Center for Urban Horticulture, 3501 NE 41st St., Seattle, WA, 98195. Map. Why: to RAISE MONEY to buy new books by selling donated books that are not needed because the library already owns a copy. Who: YOU! The public, NHS members, students, UW community members, Master Gardeners are all invited to first donate plant related books and then come shopping on the first weekend of April. When: The wine and cheese PREVIEW PARTY is Friday, April 2 from 5 – 8pm; tickets cost $20 in advance. How: DONATE your gently used plant, garden, ecology and nature related books any time the library is open, up to March 31. To buy Preview Party ticket call 206-543-0415; Visa & Master card accepted. We are living in interesting times and the Miller Library has not escaped unscathed. Beginning this September we will need to reduce our hours, staffing, and new book purchases. A drop of 46% in the University of Washington’s endowment income is the cause for these reductions. The library is fortunate to have these UW endowments, which in good economic times provide about half of the operating budget. Despite this news, there is still much to celebrate. There will be no lay-offs. The Miller staff reached a consensus to cut our hours by 20%, recognizing that each of us—with over 50 years of collective experience at the Miller Library— has an important and unique contribution to the care of the collections and to the services we provide to the public. To meet the realities of reduced staffing, we will need to cut our operating hours. Starting September 14th, we will be open on Mondays only from 4:00-8:00 pm. The rest of the week will be unchanged. Saturday hours (from 9:00am-3:00pm) will still allow access for those who work during the week. And the very successful partnership with the Otis Douglas Hyde Herbarium and the King County Master Gardener’s Clinic will continue on Monday evenings, as will special hours before NHS lectures. Our book buying will be impacted, too. But we will continue to look for innovative ways to obtain new books, and always welcome donations. The Miller Library has been very well looked after by the Miller Charitable Foundation, the Northwest Horticultural Society, and the contributions from many devoted businesses and individuals. The library is also increasingly in demand, with all our usage statistics up sharply over the last year. We are needed in these difficult times. Together, we will pull through. And together we look forward to a bright future for the Elisabeth C. Miller Library. Celebrate the 75th anniversary of the Washington Park Arboretum by taking a stroll down memory lane. 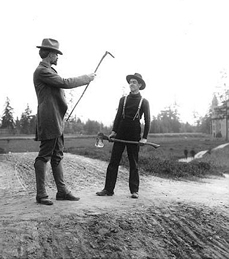 Learn about turn of the (20th) century movers and shakers at UW who created the living museum we love today. 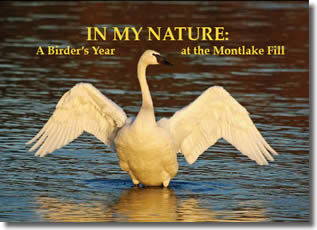 Join local author and avid birder Connie Sidles as she reads from her new book, In My Nature: A Birder’s Year at the Montlake Fill. Reception with light refreshments. FREE and open to the public. Monday, November 30, 6:30pm to 8:00pm at the Miller Library. Sidell’s exhibit is comprised of several series. Two groups, including images from the Elisabeth Carey Miller Botanical Garden and fern images from the artist’s garden are printed on European etching paper using the Giclee method. A lifelong gardener, the artist was formally trained in painting, stained glass, sculpture and photography at various colleges in California. She earned her Master of Fine Arts, Photography, from California College of Arts and Crafts, in Oakland. In addition to the prints, many of the images are available on 5×7 note cards, with matching envelopes. Each print is an original and can be used as is or framed. A percentage of all proceeds benefit the Miller Library. Reception postcard. Meany Hall is near the intersection of 15th Avenue NE and NE 40th Street. David Fishman’s love of horticulture and photography combines with his skills in photo restoration and graphics to create stunning photographs. 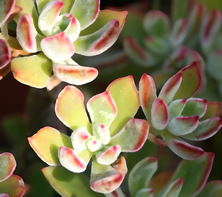 His attention to detail makes his plant portraits “so realistic they jump off the page!” An avid gardener for 15 years, his photographs also reflect his love for the beautiful and unusual. David’s art will be on display at the Miller Library. The exhibit runs June 1 through July 30, 2009. Artist reception Thursday, June 4th at 5 to 7pm. Public Welcome.Postcard with more images. Let’s look closely at vegetables and learn about how they grow. We’re expanding our family offerings this month with two programs: our regular Saturday program (focusing on planning and planting vegetable gardens) plus a Monday night story program, starring some of our favorite animal gardeners. For reservations email or call Karin Kravitz at (206)780-8172. Wonder what goes on in the labs of Merrill Hall or in the study plots sprinkled throughout Union Bay Natural Area? Find out at the annual UWBG graduate student research review May 8 – 29 in the Library. Want to meet the researchers? Then join us for the public reception May 8 from 5 -7pm. Light refreshments will be served. 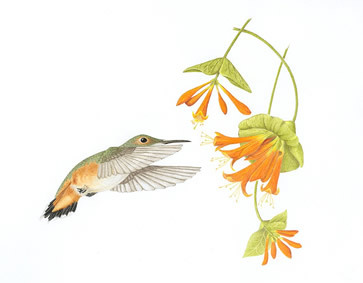 Graphite, water colors, pen and ink are a few of the mediums represented at this year’s exhibit of botanical illustration by members of the Pacific Northwest chapter of the American Society of Botanical Artists. 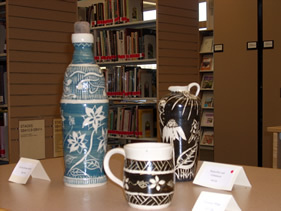 The show runs through May 2 with a portion of sales benefiting the library. A very big THANK YOU to everyone who helped with the book sale and preview party, all the book donors and to everyone who attended. The sale raised thousands of dollars for purchasing new books and raised awareness about the Library in the community. Save the date for next year: April 2nd and 3rd! Find a good home for your gently used gardening books: donate them to the Miller Library for our biggest fund raising event of the year. Save the date: April 3 for the preview party and April 4, 2009 for the free public sale. Seattle artist, Lisa Snow Lady, attained a BA with majors in Fine Art and Art History and subsequently a BFA in painting from the University of Washington. 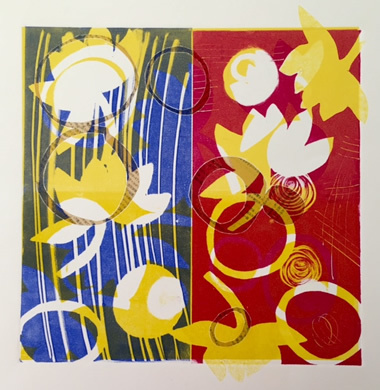 Her love of botanical form and recent studies in Horticulture and Landscape Design from Edmonds Community College are reflected in her mixed media prints and paintings. January 6 through February 27, 2009. Bring a box and load it up with bargains at the free public sale on Saturday. Get up close and personal with the unique animals and plants that make wetlands their home in these delightful books. Art exhibit runs January 5 through 30, 2009. 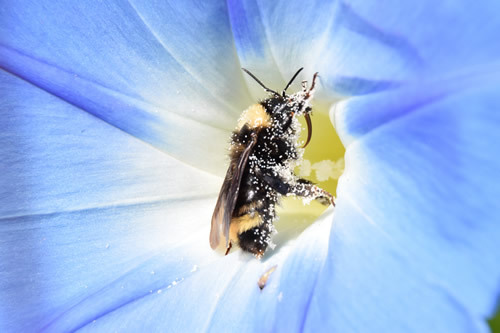 Photographer Stephanie Jeter’s images on exhibit from November 7 to January 3. Come view the work of certified arborist and gardener Stephanie Jeter. 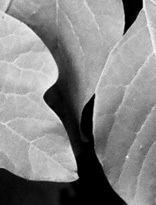 For years, Jeter has used photography to capture the forms and foliage of the Arboretum’s plants. The images reveal Jeter’s deep affection for the Arboretum, on public display for the first time. Join us for the artist’s reception on Friday, November 7, 2008 from 5:30pm to 7. Postcard. Start your research on the Student Tools page and please don’t hesitate to ask library staff for help. The Library Program Room, just opposite of the reference desk, is for YOU. Use the room for group projects or practicing a presentation. The room is free, but reservations are strongly encouraged. Landscape architect Kathryn Gustafson will discuss various elements that influence her world-renowned landscape designs. Some of her well-known completed projects as well as current projects by her two firms—Gustafson Porter in London and Gustafson Guthrie Nichol in Seattle will be featured. It’s back to school time and the Miller Library is now open on Saturdays from 9am to 3pm. Whether you need help with a school science project or designing a new garden bed, the library staff can help you find answers. For years, volunteer Larry Howard has used his camera to capture the spectacular and the subtle at CUH. Come find vistas and views you’ve never seen during his photo exhibit at the Miller Library. The exhibit runs from July 9 through September 12. Growing vegetables? We can help. The New York Times reports a big increase in first time vegetable gardeners this spring because of rising prices. Read answers from the Knowledgebase on vegetable gardening or stop by the library to borrow a few of these recommended books about vegetable gardening, fruit, organic gardening or permaculture. We are pleased to extend an invitation from the Northwest Horticultural Society and Ciscoe Morris for brunch. Proceeds benefit the NHS endowment fund for the library. Put the kids in their pajamas and join us for a few bed-time stories on Monday evenings at 7:00pm. Our regular Saturday morning stories move to Monday evenings for the summer. On July 14th Librarian Laura Blumhagen will share the tale of the sleepy seed and the wonders of growing plants. On August 11th we’ll hear about the creatures who swim in the hot summer and the cold winter. Read the complete Pajama Stories descriptions. Come learn about the latest research taking place at the UW Botanic Gardens and beyond by ecology graduate students. Opening reception 5 to 7pm on May 9th. Show runs until July 3. Thank you to everyone who helped make our third annual benefit preview party and book sale a smashing success. From Amaryllis to Zinnia, we’ll be talking about an array of flowers today, with a special focus on sunflowers. Come find out how to grow a sunflower house! 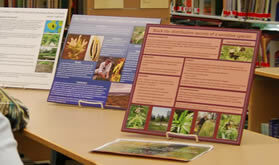 The Northwest Horticultural Society awarded the Library a $2,500 grant in autumn 2007 to plan and purchase a curriculum collection. The Miller Library currently has a Children’s Collection of some 400 lending books for kids ranging from pre-school to high school. The goal was to expand the collection with more books and other materials to help local educators develop plant-focused curriculum. Now complete, the NHS Curriculum Materials Grant adds 72 items to our collection, including curriculum guides, storybooks, field trip planners, garden design manuals for parents, field guides, and more. This grant doubles the size of our Parent/Teacher Resource collection, and more than doubles its usefulness. The additions also support the educational programs of the UWBG, including the Seedlings Preschool and Saplings School programs at the Washington Park Arboretum, which reach 5,000 children a year. While focusing on a classroom setting, these books would also provide excellent methods for parents or other family members in teaching about plants and nature, or simply enjoying the garden with their children. Very exciting! Almeras, Bethe Gilbert. ACCESS NATURE: 45 FUN, HANDS-ON ACTIVITIES FOR EVERYONE! Washington, DC: National Wildlife Federation, 2005. One of the most welcome trends in education is the upswing in inclusive teaching. Each lesson in this book includes specific adaptations to use when students have hearing, cognitive, motor, or visual disabilities. Activities include a habitat hunt, erosion observations, a bird behavior hike, and much more. Dennee, JoAnne. IN THE THREE SISTERS GARDEN: NATIVE AMERICAN STORIES AND SEASONAL ACTIVITIES FOR THE CURIOUS CHILD. Dubuque, IA: Kendall/Hunt, 1996. Over 300 pages of stories, songs, recipes, and lessons on composting, gardening, and math and science, too. The book is designed for parents and teachers of children in kindergarten through sixth grade. Kirkland, Jane. NO STUDENT LEFT INDOORS: CREATING A FIELD GUIDE TO YOUR SCHOOLYARD. Lionville, PA: Stillwater, 2007. Practical schoolyard nature observation lesson plans combine with useful bonus resources, such as “Appendix C: If You Find an Injured Animal” and “Appendix F: Native Plants in Elementary School Learning.” Designed for grades K-8. The American Society of Botanical Artists Pacific Northwest Chapter will be exhibiting original works of art until May 4. Artist statements. Join us as we celebrate Professor Linda Chalker-Scott’s new book: The Informed Gardener. Book sale proceeds benefit the Library. Thousands of used gardening, horticulture, botany and landscape design books will be for sale at the 2008 Garden Lovers’ Book Sale on April 4th and 5th at the Elisabeth C. Miller Library, the premiere horticultural library in the Pacific Northwest and library for the University of Washington Botanic Gardens. 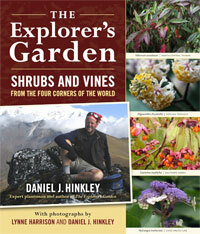 All proceeds of the sale are used to purchase the best and newest in horticultural books and journals. As an added bonus, this year’s sale will coincide with an exhibit and sale of new works by members of the Pacific Northwest Chapter of the American Society of Botanical Artists. The library will double as gallery to display the recent work of several excellent local artists working in various media. Be among the first to hunt for that special gardening book at the Wine and Cheese Preview Party and Sale on Friday, April 4th, from 5:00 to 8:00 p.m. Enjoy a glass of wine, mingle with other gardening enthusiasts, and bid on specially selected books in the silent auction. Tickets to the Preview Party are limited and on sale now at the library for $15 each. On Saturday, April 5th, the Book Sale is from 9:00 a.m. to 3:00 p.m. Admittance is free. You’ll find a wide range of topics on all things horticultural, at great prices. Cash, checks, Visa and MasterCard will all be accepted. The Miller Library is located at the Center for Urban Horticulture, 3501 NE 41st Street, Seattle. For book sale information and to purchase tickets to the Friday evening Preview Party, visit the Elisabeth C. Miller Library or phone: 206-543-0415. Thanks to a grant from the College of Forest Resources Dean’s Office on the recommendation from the CFR Resources Committee the Library now has two new computers for public and student use for a total of four public access computers. This major fund raising event builds our book buying budget, turning your donation into new books for the whole community. Clean off your shelves to make room for new purchases! We’ll take your gardening, plants, and design-related books. And sorry, we can’t accept any more magazines! A very big thank you to the Northwest Horticultural Society for awarding the Library a $2,500 grant to plan and purchase a curriculum collection. The new books are currently on display in the library and available for check-out. Who owns a garden? Is a garden just for people, or does a garden belong to the animals too? These two books show how delightful it can be when gardeners share their patch of earth with wildlife. Everyone knows how to hug a tree, but how do you play with one? In Button, Bucket, Sky, elderly Annie Livemore teaches neighborhood children a wonderful game that takes years from start to finish: growing an oak grove from acorns. In The Way of the Willow Branch, we’ll follow a broken branch through wildlife habitat downstream to the sea, onto the beach, and finally into a child’s craft project. The Miller Charitable Foundation has awarded us a $16,000 grant to organize our archives to comply with the UW Archives standard. 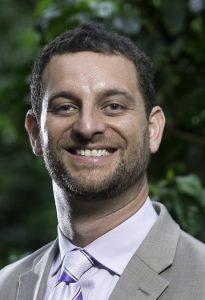 The Curator of Horticultural Literature, Brian Thompson, will lead the development of collection policies, storage solutions, finding aids and access technology. The Northwest Horticultural Society awarded us a $2,500 grant to plan and purchase a curriculum collection. The Miller Library currently has a Children’s Collection of some 400 lending books for kids ranging from pre-school to high school. Our goal is to expand the collection with more books and other materials to help local educators develop plant-focused curriculum. The new curriculum materials will include step-by-step guides to student projects and activities, worksheets and sample study plans, selected readings for students, and tools for teacher’s to evaluate learning. Other media will also be considered, including models, posters, movies, music, and games. Jenny holds a Masters in Library and Information Science from the University of Washington, and a Master of Fine Arts in Book Arts and Printmaking from Philadelphia’s University of the Arts. Local tree expert, Arthur Lee Jacobson will be signing his books: Trees of Seattle and Selected Writings of Esiquio Narro, which he edited. The books will be for sale. Net proceeds of the sales of the Narro book will be donated to the Miller Library. Esiquio Narro, a Mexican-American who lived half his life in Seattle, loved to ponder, talk, write, and garden. The book represents the very best of his vast collection of writings that touch on subjects as far ranging as American culture, love and the human spirit, growing up in Mexico, and seasons in the garden. Books may also be purchased from the publisher’s website. Aberglasney House garden director Graham Rankin will lecture on “The Most Beautiful Gardens in Wales” on November 1 at 7:30 in Meany Hall, UW. Request your free tickets by calling 206-362-8612 or by email. The lecture is co-sponsored by the Miller Library, Miller Garden and the Northwest Horticultural Society. Invitation and complete information (pdf). The key books recording his works and life will be on display at the library, along with specimens of plants he named from the Otis Douglas Hyde Herbarium, posters of Swedish postal stamps created in his honor, and the Linnean Medal, won by UWBG director David Mabberley in 2006. A concurrent display of books and other materials from the Linnean Society will be on display at the Seattle Public Library’s Central Branch. Both displays will be available for viewing through mid-October. Dr. Magnus Lidén, Director of Uppsala Botanic Garden and the Linnaeus Garden, will be speaking on the life and contributions of Carl Linnaeus, considered to be one of the most important figures in the history of botany. Popular science writer and researcher Dr. Peter Ward is Professor of Paleontology, Biology and Astrobiology in the Earth & Space Sciences Department at the University of Washington, and the author of Under the Green Sky: Global Warming, the Mass Extinctions of the Past and What They Can Tell Us About our Future (HarperCollins, 2007). His program will present surprising conclusions about species survival under current climate change patterns and future warming predictions. Book sales and signing following lecture. Presented in cooperation with The Elliott Bay Book Company. Can you imagine having your own apple tree? Arnold does, and he visits it throughout the year to watch it change with the seasons. We’ll learn how apples grow and discuss different ways to eat them. After the stories, join us in the program room for a hands-on activity presented by our guests, the King County Master Gardeners. Have you browsed our Children’s Section recently? If so, you may have seen the newly formed PARENT/TEACHER RESOURCE COLLECTION. Parent/Teacher materials have a green dot below the yellow label that designates all Children’s Section books. These may be curriculum materials on ecology, parents’ guides to gardening with kids, or any other materials designed for adults who work with children and plants. Most of these books were already part of our collection, but we hope you will find and use them more easily now that they are no longer intermingled with the children’s books. 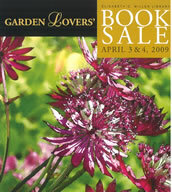 Thousands of used gardening, horticulture, botany and landscape design books will be for sale at the 2007 Garden Lovers’ Book Sale on April 6th and 7th at the University of Washington Botanic Gardens’ Center for Urban Horticulture. 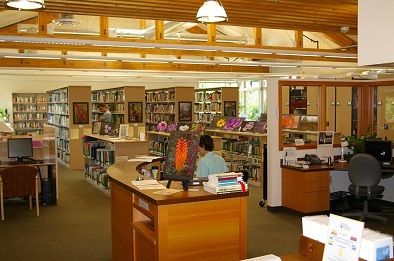 The sale is a major fundraiser for the Elisabeth C. Miller Library, the premiere horticultural library in the Pacific Northwest. All proceeds of the sale are used to purchase the best and newest in horticultural books and journals. Be among the first to hunt for that special gardening book at the Wine and Cheese Preview Party on Friday, April 6, from 5:00 to 8:00 p.m. Tickets to the Preview Party are $15 each, and benefit the book budget of the Miller Library. Enjoy a glass of wine, mingle with other gardening enthusiasts, and bid on specially selected books in the silent auction. You’ll be able to browse and buy to your heart’s content, and support the Miller Library in the process! Tickets to the Preview Party will be available for purchase at the library beginning March 1st. On Saturday, April 7, the Book Sale will run from 9:00 a.m. to 3:00 p.m. Admittance is free. Stock your shelves with gently used gardening books and find inspiration for your own garden. You’ll find a wide range of topics on all things horticultural, at great prices. Cash, checks, Visa and MasterCard will all be accepted. The sale will take place in the Commons of Merrill Hall, Center for Urban Horticulture, UWBG, 3501 NE 41st Street, Seattle. For book sale information and to purchase tickets to the Friday evening Preview Party, contact the Elisabeth C. Miller Library at 206-543-0415. We’re looking for a few good books! Book Launch and Fundraiser for the Library Big Success. The staff of the Miller Library would like to extend our most sincere thanks to everyone who helped make the March 6th NHS Fundraising Event such a success! It was a wonderful party and lecture, the proceeds of which will be a great contribution to the NHS Endowment Fund for the library. Pull on your rubber boots for stories about squishy, muddy, damp and mucky wetlands and the creatures who live there. After the stories the Master Gardeners will lead a fun activity. On February 28th, Brian Thompson, Curator of Horticultural Literature at the Elisabeth C. Miller Library, shares his personal favorites from the many books by lesser know PNW authors, both present and past, in the UW Botanic Gardens Miller Library collection. From field guides to garden guides, these titles will inspire you as a reader and a plant lover. Selections range from the thoughtful “Walking in the Beauty of the World” by Bothell botanist Joseph Arnett, to the offbeat charm of Vancouver Island resident Des Kennedy in “Crazy About Gardening”. Linda Beutler will make you enthusiastic about clematis and everything else she grows in her Portland garden, while John Grant’s “Naturalistic Character” approach to garden design still resonates as it did in 1954. Native son George Schenk now gardens with friends around the Pacific Rim, by contrast Ian Taylor left England to find fun in Seattle as “The Naked Gardener” These and much more will be on the table. Stop by the UW Botanic Gardens booth (#2350) at the flower showand ask library staff a plant or gardening question. We’ll use our micro-library on wheels to find the answer. Plant Answer Line will be open 9am to 1pm Wednesday-Sunday and 9am to 5pm on Thursday. WHEN: Saturday, February 10th at 10 a.m. WHEN: Saturday, January 6th at 10 a.m.
It’s a new year! How does Groundhog grow a garden? With a little help from his friends. Join us for stories of how plants change through the year followed by an activity with the Master Gardeners. The library staff has been working in recent weeks to bring the site up to modern web standards of accessibility and ease of use. The redesign also makes our best content, such as the catalog of booksand Gardening Answers knowledgebase, searchable right from the home page. While the site architecture is essentially the same, some pages have moved. Automatic redirects should send browsers to the right page, but if that fails our site map and friendly “404 Not Found” page should help users find what they’re looking for. Co-authored by UWBG Director David Mabberley and Barrie Juniper, University of Oxford. Published by Timber Press. “The Story of the Apple reveals the solution to a long-standing puzzle. Where did the apple come from, and why is the familiar large, sweet cultivated apple so different from all other wild apple species with their bitter, cherry-sized fruits?” From earthquakes in Tian Shan, to the eating habits of bears and horses, to the multiple virtues of cider, The Story of the Apple describes the fascinating history of one of America’s favorite fruits. Copies of the book are available for $32 (includes sales tax) at the Miller Library. $16 of every book sold directly benefits the library’s book budget. Cash and checks only. For more information, please call the Miller Library at 206-543-0415. The University of Washington Press and the University of Washington Botanic Gardens cordially invite you to celebrate the publication of Invasive Species in the Pacific Northwest, edited by UW professors Dee Boersma, Sarah Reichard, and Amy Van Buren, Ph.D. candidate in biology. 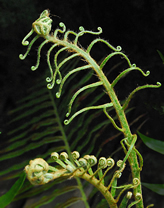 The U.S. government defines invasive species as “an alien species whose introduction does or is likely to cause economic or environmental harm or harm to human health.” Invasive Species in the Pacific Northwest describes these species, how they got here, and the effects of their invasions on the region’s environment. Each of 108 invasive species of fish, plants, invertebrates, mammals, and birds – including earthworms, domestic cats and pigs, blackberries, European fruit flies, Japanese eelgrass, Mediterranean mussels, rats, and terrestrial mollusks – is described in a 2-page spread that includes a full-color photograph of the species, a map showing the species’ presence in the region, and much more. The evening will include a talk by the editors, followed by a reception and book signing. Books will be available for purchase at the event. For more information, call the Miller Library at 206-543-0415. WHEN: Saturday, November 4th at 10 a.m.
See the bounty of the autumn garden. Come listen to true and imagined stories of the harvest. Garanteed to make your mouth water! 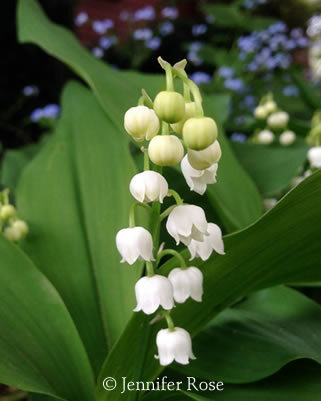 After the stories, join us in the program room for an activity designed by our guests the King County Master Gardeners. Thursday, October 26 6:00 – 8:00 p.m.
Make plans to join David Mabberley and the staff of the Elisabeth C. Miller Library for the North American launch of The Story of the Apple. Professor Mabberley will talk about his long association with Barrie Juniper and the writing of the book. An autograph signing will follow; copies of the book will be available for purchase at the event, the proceeds of which will benefit the Miller Library. For more information, please call the Miller Library at 206-543-0415. WHEN: Saturday, October 14th at 10 a.m.
As the leaves change color and drop down where we can see them better, we begin to think about them more. Why do some leaves stay on the tree while others drop? What makes leaves change color? What happens to a leaf after it falls? Come learn and imagine with us. Over a thousand plant enthusiasts turned up Thursday night at UW’s Meany Hall to hear Peter Valder speak on the Romance of Chinese Plants. Limited quantities of Peter Valder’s books, Gardens of China andGarden Plants of China will be for sale at the library until September 28th. Proceeds from the book sale benefit the Elisabeth C. Miller Library. Peter Valder’s love affair with Chinese gardens has taken him into beautiful and secret places. You won’t want to miss this entertaining and informative lecture! The Miller Lecture and Reception are free and funded by the Pendleton and Elisabeth Carey Miller Charitable Foundation. Reservations accepted after Monday, August 7. To reserve tickets, phone the Elisabeth C. Miller Botanical Garden at 206-362-8612 or email your RSVP to info@millergarden.org. Tickets will be mailed in confirmation of your reservation. Copies of Peter Valder’s books, Gardens of China and Garden Plants of China will be available for purchase in the lobby of Meany Hall before and after the lecture. Proceeds from the book sale to benefit the Elisabeth C. Miller Library. What do trees do for us? What do we do for trees? Our stories this month are all about observing and watching trees. After the stories join us for hands-on activities with the Master Gardeners. In celebration of the bi-centennial anniversary of explorers Meriwether Lewis and William Clark, The Miller Library and the Hyde Herbarium have assembled a display of books and preserved plant specimens featuring Northwest plant exploration and ethnobotany. The library wishes to thank donors Larry Howard and Nancy Winder for their generous contribution to purchase material focusing on plants documented by Lewis and Clark. A list of the books purchased from their gift is linked below. 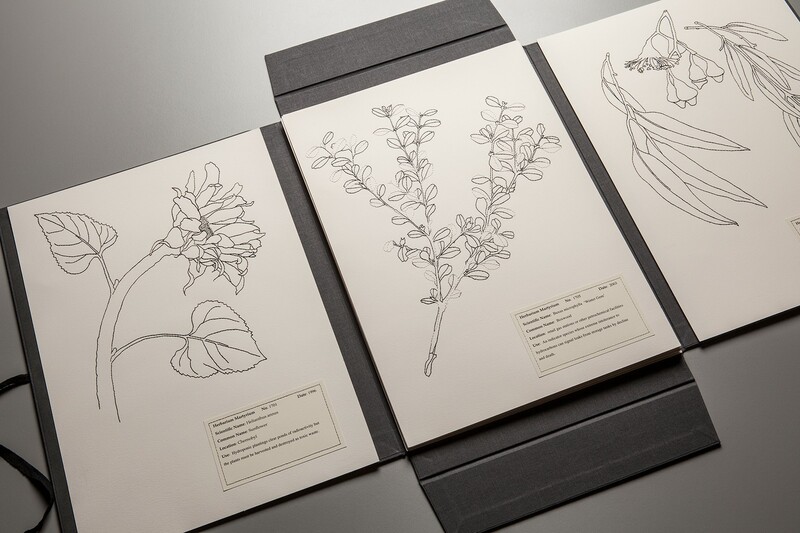 Examples of a few plants discovered by Lewis and Clark, such as Bear Grass and Western Red Cedar, are also on display from the herbarium collection. The library will begin its summer schedule on Saturday, July 1. We will be open on Saturdays from 9 – 3 in July this year, so plan to stop in and check out our collection! As in past years, the library will be closed on Saturdays in August. Weekday hours will remain the same throughout the summer. The library will be closed all day on Wednesday, June 14th for an all UWBG staff retreat. WHEN: Saturday, June 10th at 10 a.m. Learn about The Great Kapok Tree, and explore young Wesley’s new civilization in Weslandia, as we venture into the jungle. Color a rain forest picture to take home and enjoy some tasty snacks! This will be the final storytime before summer. Watch this site for new programs beginning in September! WHEN: Saturday, May 13 at 10 a.m.
What’s blooming now? Come hear about Wanda and her Rose Bush – the bush nobody thinks will bloom. Enjoy the beauty of flowers as well as the science behind it in three great books. You can even check out books to take home! After the stories: Join us in the program room for a program designed by our guests, the Master Gardeners. Explore Seeds and Flowers Kit with hands-on activities: “Herbie the Seed” puppet, examining different varieties of seeds, etc. Book Sale was a Big Success! 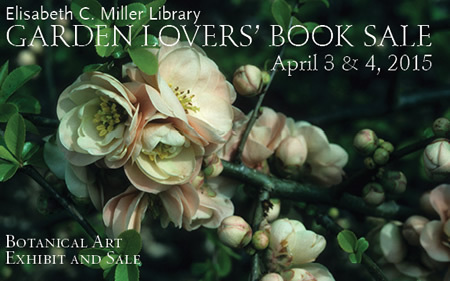 Thanks to everyone who supported the Miller Library at our Garden Lovers Book Sale. We raised nearly $8,000, which will be used to buy new books for the library. Special thanks to the Northwest Horticultural Society for hosting the Friday night Preview Party, to Ann LeVasseur and Pat Riehl for planning a marvelous event, to Charles Pember and Ralph Davis as our official “pourers,” and to Ralph and Lynn Davis for donating the wonderful selection of wines. The Friday night silent auction raised $900 for our book budget, and Preview Party ticket sales generated $800 to benefit the NHS Endowment Fund. Watch this site for next year’s book sale dates! Hundreds of gardening and landscape design books! Come search for treasures and stock your shelves! Proceeds from the book sale will augment the Miller Library’s book budget, so we can keep buying great new books for your reading pleasure. University of Washington Botanic Gardens, 3501 NE 41st Street. For more information, please call the Miller Library at 206-543-0415. WHEN: Saturday, April 8 at 10 a.m.
Let’s look closely at vegetables and learn about how they grow. Hear a funny story about tops and bottoms, problem solve with Cecil, and experience the joy of discovery with Oliver. After the stories: What part of different plants do we eat? Take a close look and find out! Seeds and Sprouts! Story Time for March. WHEN: Saturday, March 18 at 10 a.m. Interested in the latest research on compost tea or controlling powdery mildew? Librarian Tracy Mehlin will demonstrate how to search the periodical literature and remove some of the mystique. You will get to know several powerful databases used to search the periodicals. Bring a question of your own to research. Wednesday, March 15, 6:30 p.m. to 8:00 p.m.
Fee: $12; pre-registration required, call 206-685-8033. 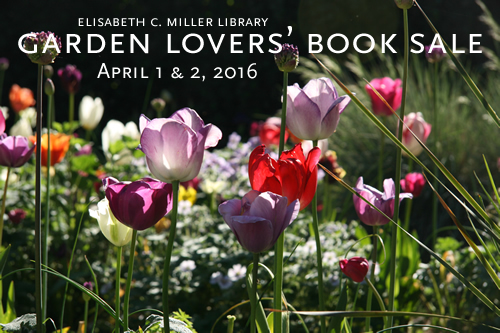 $7.50 admission fee benefits the Miller Library at the University of Washington Botanic Gardens. Stroll, shop, and attend presentations by Heronswood co-owner Dan Hinkley. Story Time: Plants Gone Wild! Think plants are mild and meek? Think they just sit there doing nothing? WRONG! Come hear about the HAIRRAISING tale of Plantzilla, the plant who grew and grew and the boy who took her home for the summer. Join us for stories and make wild collage art afterwards. The first exhibit devoted to the evolution of the common flower pot — will be presented by the Northwest Horticultural Society at the Northwest Flower and Garden Show February 8-12, 2006. Renowned Connecticut potter Guy Wolff and Seattle potter John Weber will demonstrate their art form live during selected show hours. Local garden designers will display decorated contemporary containers showing stark contrast between historical and modern, old and new. Developed for the Library’s 20th anniversary, this set of twelve note cards has covers with images from the library’s collection of early 20th century gardening catalogs. Sets are $15 each. Special thanks to the Northwest Horticultural Society for selling the cards for us. They are available at the library desk and all proceeds benefit the Miller Library. The Elisabeth C. Miller Library just celebrated its 20th anniversary. Located in a fabulous new facility, the future looks bright. 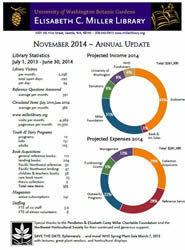 Help the library celebrate and grow in its ability to expand resources and services. Another way to help the library grow and prosper is to click on the Donation button on the library’s home page. It takes you to the UW Foundation web site where you can donate online using a credit card. To all our supporters, we thank you for your continued enthusiasm and generosity. WHEN: Saturday, January 21 at 10 a.m. Even though it’s dark and dreary outside, and you might think spring will never get here, there’s still a lot of fun to have indoors and out! Join us for some snowy days stories, and make a winter card for someone you love! When: Saturday, December 10 at 10:00 a.m. When the weather turns cold and there’s snow on the ground, what do the birds, squirrels, and other wild animals do for food and warmth? Join us at the library for stories about the animals in forests and our own backyards, and color a picture to take home! The Miller Library will soon be presenting Pacific Northwest Connections, bringing together all our books dedicated to the Pacific Northwest and related climates. The rearranged layout and collection flow will create an ideal setting for both in-depth research and leisure reading. To effect these changes, the library will be closed for two staff work days on Tuesday, November 22 and Wednesday, November 23. WHEN: Saturday Nov. 19 at 10am. WHO: Kids age 2 to 7 and their parents. It’s Apple Season! Where do apples come from, how do they grow? Do green apples taste better than red apples? What about yellow apples? Join us for apple stories, harvest stories and the tale of the Leaf Man who blew away. We’ll make art with apple stamps and have a taste test to find the best tasting apple. 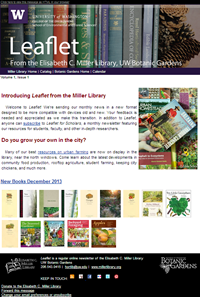 The Miller Library is now subscribing to an index database of garden periodicals called the Garden Literature Index. This is the premier resource for accessing articles about plants and gardens focused on environmentally sustainable horticulture and design practices. It includes academic as well as popular journals and magazines with over 300 titles. Whether you are a student, working professional, researcher or avid garden enthusiast, you can track down abstracts for many titles, some of which date back more than a decade. You can use the index from any of the library’s public computers by clicking on the icon on the desktop. WHEN: Saturday Oct. 29 at 10am. “Pumpkin muffins, pumpkin cookies, pumpkin pies …” Rebecca Estelle hates pumpkins! Find out what happens when a giant pumpkin lands – SPLAT – in her yard in Too Many Pumpkins. Learn all about pumpkins at the Miller Library’s first ever story time, with silly stories, fun crafts and tasty treats celebrating our favorite fall vegetable. DATE & TIME: Tuesday, Oct. 11, 7 to 8:30 p.m. The Elisabeth C. Miller Library’s Children’s Collection is a treasure trove of curriculum materials,garden plans and plant-related books for children of all ages. The library staff will highlight some of the library’s very best educational resources. This class is aimed at parents and teachers, and will be tailored to the needs of the participants. You don’t need an official drought declaration to know that summer gardening conditions are typically dry and thirsty. Everything you ever wanted to know and now need to know to use water wisely yet still have a glorious summer garden can be found by clicking on the link above. 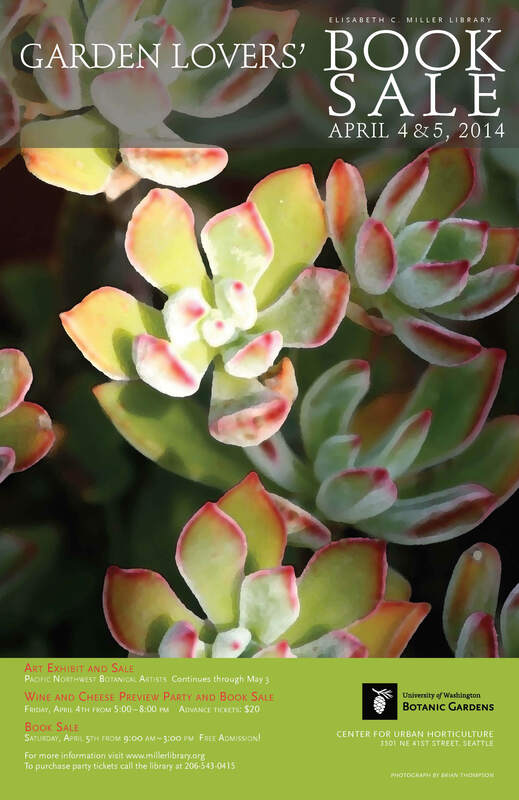 From tools and water management devices to lists of drought-tolerant plants and practical timely advice, the information you need to make it through the coming summer is easily available through the Elisabeth C. Miller Library. The Elisabeth C. Miller Horticultural Library is now open regular hours to the public in the newly built Merrill Hall at the Center for Urban Horticulture (CUH) at the UW. Come in and see all the new features from the terrific view to comfy reading chairs to the latest in movable compact shelving. We have a special corner for children complete with soft cushions and a library collection geared for young gardeners. Think of the new Debra Prinzing paperback book, Pacific Northwest Garden Survival Guide, as the greatest and best reality show a Pacific Northwest gardener could find. 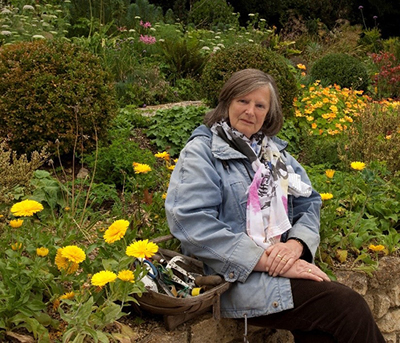 Intensely pragmatic and locally focused, she knows the geography, climate, soil, mood and attitudes of gardens and plants in the area. Prinzing, a Master Gardener, promotes “gardening from the ground up” and the best means to tackle our changing environment and make the most of what nature has so generously provided. From tips on managing pests and invasive plants to understanding soil, making best use of limited water and “going native” with plant selection, her direct and easy style makes this slim paperback an indispensable tool. To check it out, visit the Miller Library or you can order a copy via her web site www.debraprinzing.com/books.php. CUH, WPA, and the Miller Library invite you to enjoy a lecture by Professor David Mabberley, welcome him as new director, and celebrate the 20th anniversary of the Miller Library on the occasion of the return of the rare book collection. The UW Special Collections Library housed the heart of the Miller Library’s collections ever since the devastating fire of four years ago. Professor Mabberley has extensive knowledge and a considerable personal collection of many early horticultural and botanical works. Several of the treasures will be on display in the Miller Library before and after the lecture. DATE & TIME: Sunday, May 22, 2005 Rare Book Preview at 6 p.m., Lecture at 7 p.m. with reception following. LOCATION: Center for Urban Horticulture, 3501 NE 41th St.
FEE: $10 suggested donation at the door. RSVP by phoning 206-685-8033. The NHS Furnishing Fund has provided the Elisabeth C. Miller Library with the equipment to preview video tapes and DVDs. There is a new handsome flat screen TV along with a VCR and a DVD recorder. The fiscal year for 2003 – 2004 was a momentous one for the Miller Library. Read about the activities and accomplishments in our just published annual report linked above as a .PDF file. Our new booklists have a fresh look and reflect recent additions to our catalogue. Watch for new booklists on “Garden Construction”, “Green Roofs and Rooftop Gardens”, and “Bulbs”—coming soon!